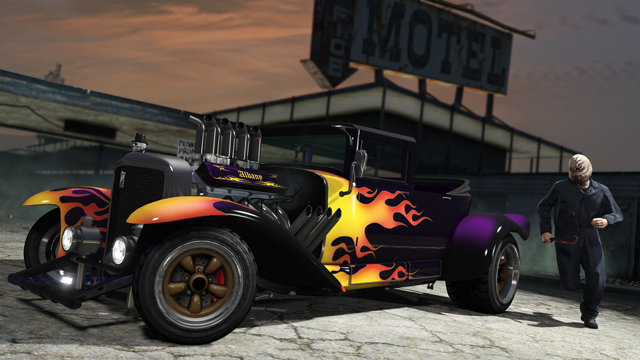 New cars, items, and a new way to play in honor of Halloween. 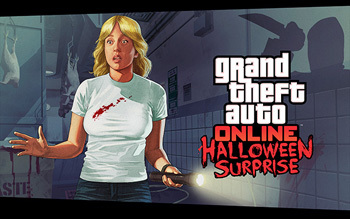 Grand Theft Auto Online is celebrating All Hallows Eve with a limited time event, "Halloween Surprise." Starting today, players on PC, PlayStation 4, and Xbox One will have access to additional unlockable items and a new gameplay mode. 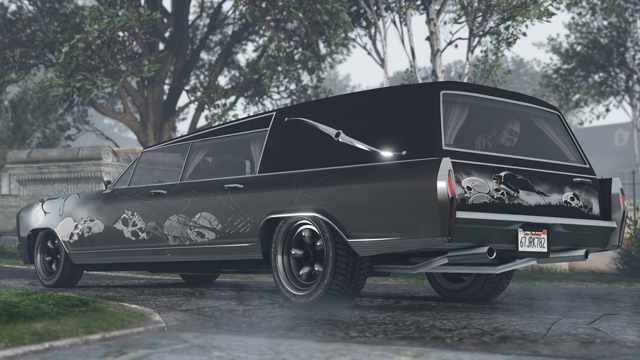 Two new vehicles are available for purchase, the Lurcher Hearse and the Franken Stange. Players can also acquire 20 holiday-themed bobbleheads to put on the dashboard of any of the game's lowriders during the event. 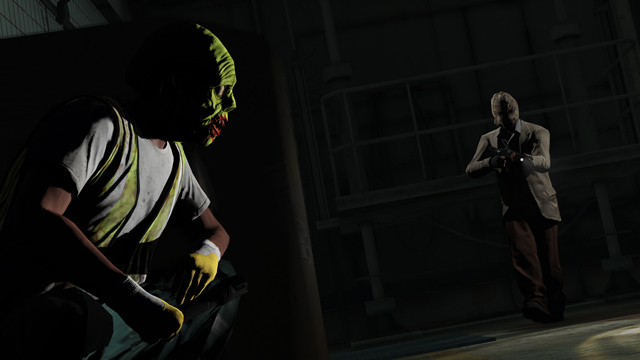 Heists have been updated with a new category of spooky Halloween masks from Vespucci Movie Masks. 30 additional face paint styles have also been added. The added gameplay mode, "Slasher Adversary," is an eight-player game where one player is designated as the Slasher and is armed with a shotgun with the goal of hunting the others. Players who are able to survive for 3 minutes get a shotgun of their own to even the odds. The new items will only be available for the length of the event, though they're yours to keep if acquired before it ends on November 18. 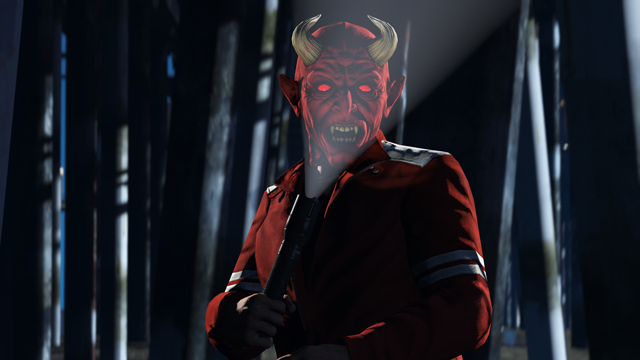 The Slasher Adversary mode will remain playable permanently.